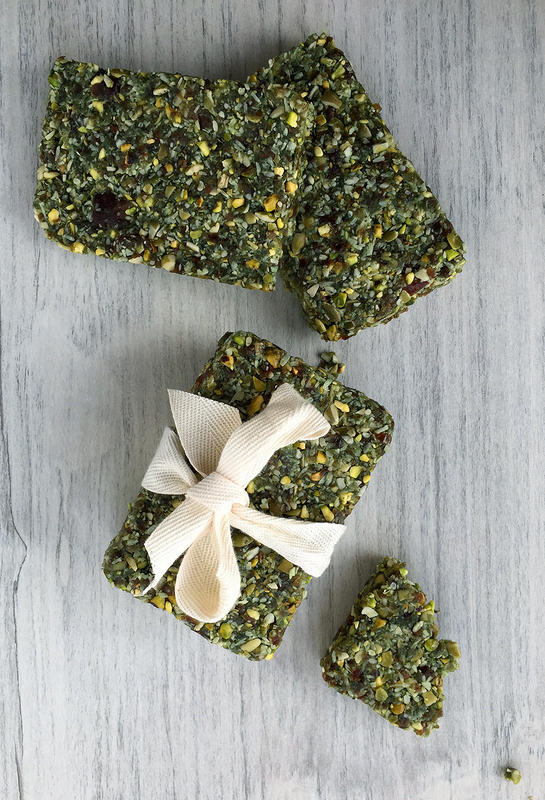 I made raw energy bars from algae and hemp. Like a good little hippie. This is the first raw recipe I’ve ever posted to the blog, I think. It isn’t that I don’t eat raw foods regularly, but they’re mostly vegetables foraged hurriedly from the fridge: broccoli florets, rounds of zucchini, baby carrots by the bagful, dripping slices of heirloom tomato. 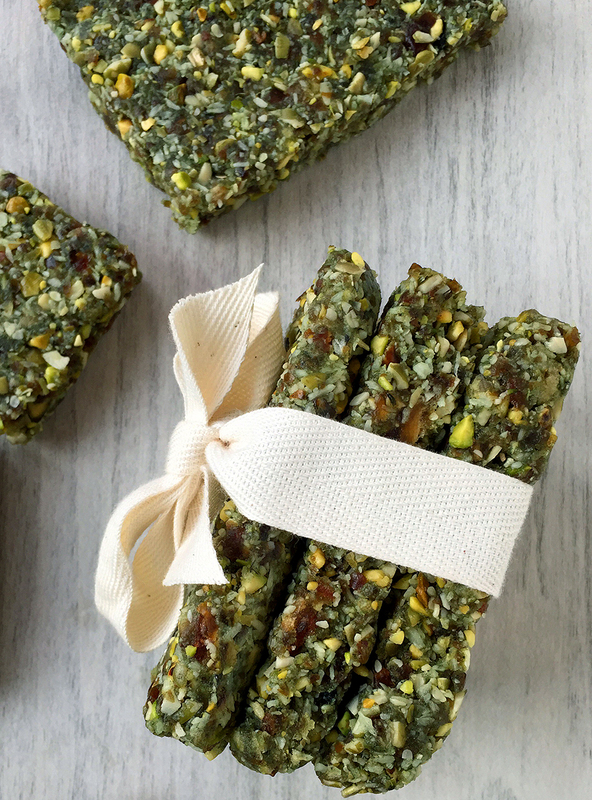 These raw energy bars are something else entirely, of course, and a more satisfying snack. Sweet, with chewiness from the dates and coconut paired with the crunch of pistachios and pumpkin seeds, they’re a little bit crumbly. A little bit sticky. I suppose I should say a word about the algae, right? Growing up, my mother always tried to sneak more algae into my meals: kelp dusted into stews, blue-green algae capsules in the mornings (she supplements the horses’ feed with it, too). So when I got the inspiration—if you can call it that—to make raw energy bars, and hit on the idea to make them green (my mind works in weird ways, okay?) then algae was the natural addition to achieve a truly unusual hue, plus bump up their nutritional profile significantly. The specific type I used is spirulina, a green-black algae in powder form. It’s an incredibly interesting ingredient with a Wikipedia page that’s a great read. Spirulina was a food source for the Aztecs and other Mesoamericans until the 16th century; the harvest from Lake Texcoco and subsequent sale as cakes were described by one of Cortés’ soldiers. The Aztecs called it “techuitlatl”. If you’re wondering, I purchased all of the ingredients for these at Whole Foods (even the hemp hearts!) 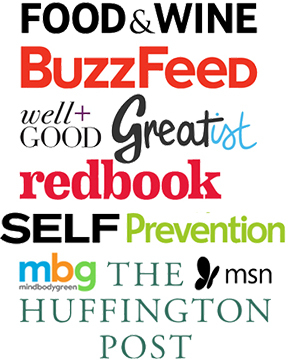 so there’s a good chance you can source them at your local Whole Foods, Trader Joe’s, Sprouts or Central Market. This recipe consists mostly of tossing the ingredients into a food processor, then letting the bars set in the refrigerator. Increase the dates to a whole cup if you like your raw energy bars more sticky than crumbly! In a food processor, pulse the ingredients until the mixture is crumbly but beginning to come together. Press into an 8-inch square cake pan or glass dish. Chill in the refrigerator for at least an hour, then slice and serve. Will keep for several days if refrigerated in an air-tight container. Hey, I wonder if these would be good for the horses. I would have to investigate the suitabliity of pistachios and pumpkin seeds. I assume these are roasted seeds? I don’t think one can get raw pumpkin seeds unless it’s out of a fresh pumpkin. Then I can eat them, too! Hmmm, pistachios might be an expensive proposition for the horses (making these in quantity). I suppose the pumpkin seeds were roasted, but they sure tasted raw. They’re the green kind, not the white kind like those that come out of a Halloween pumpkin! I was just thinking about trying to come up with “green granola bar” recipe the other day…pistachios, pumpkin seeds, hemp seeds, some kind of algae…crazy to see them here exactly as I imagined and so delicious looking. Pretty tasty! Similar to my homemade Lara bars. I made them with Chlorella instead of Spirulina. I’m wondering – has anyone tried them with cocoa added? I think that’d be a nice addition. Also, next time I make them, I’m going to add in Chia seeds as well. I could totally be missing it but I don’t see the algae in the ingredients. Hello Debi, spirulina is a type of algae. Does coconut oil benefit these bars in some way? I am oil free vegan but would like to make. Misty, the advantage coconut oil lends is that it’s solid when chilled so it acts as a binder in addition to the stickiness of the dates. Without it, I’m not sure these would stay together. I’m curious about being an oil-free vegan: what do you use to sauté vegetables? Or do you only steam, eat raw, etc? Awe. I was wondering if more dates or rolling it in chia would work. HHmmm. I sauté in broth or water. I used dried apricots instead of dates (used what I had lying around) and they turned out great! I soaked the apricots in boiling water so they would process a bit easier, and drained the water before placing them in the processor. Thanks for the wonderfully easy and nutritious recipe! Dried apricots, that’s a great idea! So glad to have found your site. These sound fascinating. A must try! I’m wondering what I could use in the place of oj? I can’t fathom all that sugar. Also I know dates are high in sugar are they used as the glue to hold it all together ? If concerned about sugar, the dates are much more the issue than the orange juice. And yes, the dates are structurally necessary for the recipe. Your best bet is to find some other kind of recipe that uses eggs to bind the bars together, rather than fruit. Amazing! I used a cup of dates as I like more of a sticky consistency. Delicious! Do you know if I can substitute the orange juice with something else? Some other kind of juice would work for sure!